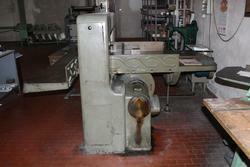 Bankruptcy asset sales of used cutting machines. Make your bid! 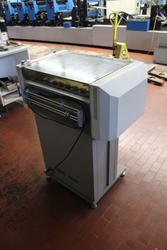 Do you want to buy an used cutting machine at an affordable price? You can trust us! 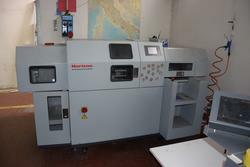 This section is dedicated to used cutting machines for papers and offers the best deals for your graphical business! To get the used cutting machine of your interest, login to your account: you will be able to track the auction, view the expiration time and check in real time the relaunches of other participants. Click on the lot you are interested in and make your bid, choosing between two modes: the static bidding system, which allows you to manually set your bid, or the Proxy Bid system, which automatically relaunches your bids on your behalf, according to the maximum price you set. Industrial Discount has an easy and intuitive structure; nevertheless, we will never leave you alone; our staff will always follow you attentively through each stage of the negotiation, from registration to item delivery. 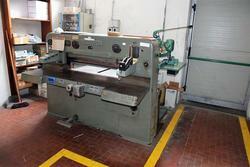 Don't wait any further: register for free and try to get your used cutting machine at the cheapest price! 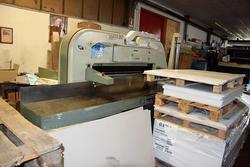 Do you want to stay updated about the upcoming auctions of used cutting machines for paper? Subscribe to our newsletter! You will receive a weekly email showing new items for sale.